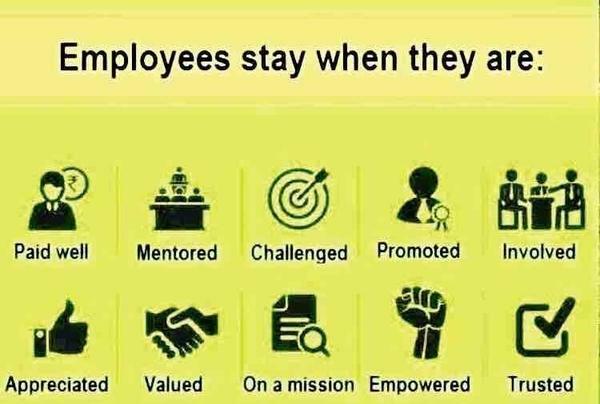 How to Keep Your Employees Engaged, Empowered & Energized! It’s the question team leaders are always asking. How can I tap into the best potential of my employees? As you look at the graph above you can probably quickly discern the areas where you are excelling at engaging your people and maybe a few areas you could work on as well. We also know that leadership is often not as cut and dry as the graph above as there are many factors that can play into your team dynamics. Regardless of your current employees engagement, we wanted to give you a few practical tips to help create more ownership among your leaders! Engage: It’s not what you say, it’s what you do. We hear it all the time -servant leadership. To lead by example and truly demonstrate that you’re for the good of your team. Here’s a few examples as to what this might look like. You take time to listen to your people and apply their feedback. If a problem occurs you get your hands dirty & find the solution. When starting a new project, you’re the first to actually do the work. You arrive first, leave last & no one questions your commitment. Empower: It’s not what you do, it’s what you say. Employees want to know they are being heard and understood and many times the best way you can communicate that is through what you say. Here area few statements and questions to help. I am sorry, ________ was my fault. Thank you for _______, that really helped us _______. What did we learn from this, to help ensure it’s a success next time? Energize: It’s not what you do or say, it’s how you express it! Whether you realize it or not most of your communication is expressed via your tone, expression, and body language. Here are some things to consider. Do you look your employees in the eye? Is your stance towards them open and inviting? Are you giving them instructions with a tone of encouragement? Does your overall communication have a “my way or the highway” feel to it? Often times, your body language says it all. Take time over the next couple weeks to apply one of these principles above and see if their performance begins to go to the next level. Leading leaders isn’t easy and it is a daily commitment because the reality is PEOPLE ARE YOUR GREATEST ASSET. Leadership is an on-going process not a box you tick off once a year! We understand this is not an easy task yet one that is always worth it, so please don’t hesitate to reach out for further support. We are here to help!